President Buhari to inaugurate APC presidential campaign council today, promises to campaign for all APC candidates – Royal Times of Nigeria. 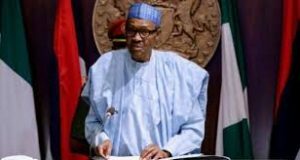 President Muhammadu Buhari will today inaugurate the All Progressives Congress (APC) presidential campaign council for the 2019 general election. The director of strategic communications, of the APC presidential campaign council, Festus Keyamo, in a statement said the event will take place at the International Conference Centre, Abuja. He said those expected at the ceremony were the persons earlier announced as members of the council. The council made up of at least 70 individuals. Meanwhile, the Presidency has said that President Buhari, will campaign for the party and all its candidates. A presidential spokesman, Malam Garba Shehu, made this known in a statement while reacting to media enquiries over the hosting of Governor Ibikunle Amosun of Ogun by President Buhari at the Presidential Villa, Abuja, on Sunday. Shehu said this, however, does not mean that President Buhari, as the nation’s leader, will decline courtesy calls or offers of support from citizens including candidates flying the flags of other parties. 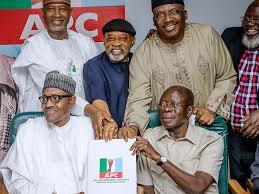 Amosun, a member of the APC, was accompanied by his consensus candidate for the Ogun state governorship election, Abdulkadir Adekunle Akinlade, who is a member of the Allied Peoples Movement.